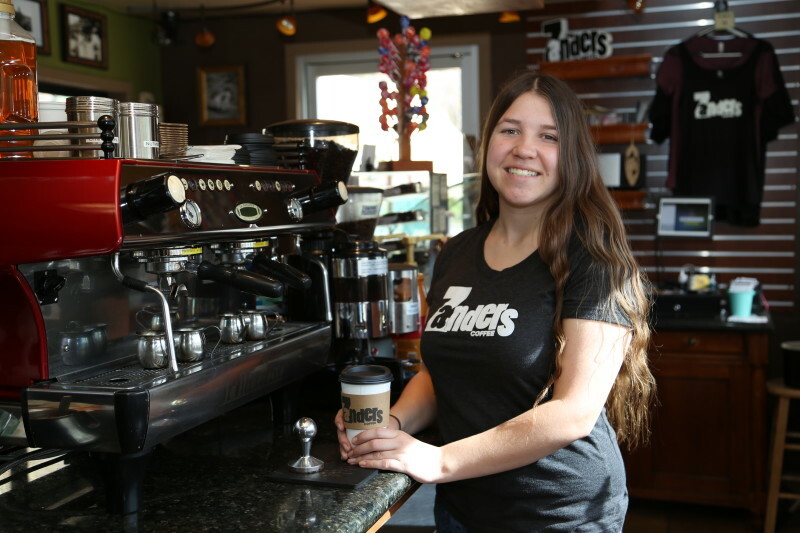 Zanders Coffee was founded in 2004 in the foothills of the Sierra Nevadas in Coarsegold, CA. As a part of the Chukchansi tribe, our family has raised multiple generations in this community. It was the hope of generations past, that our family would carry our family values and ways of our elders in all aspects of life, including business. Our dream to independently roast coffee has now come to fruition through REZ Roasters and we now serve our own hand-roasted coffee in our shop as well as distribute it to other businesses and organizations. We hope your story can become a part of ours. Hello (Hile hile)! Zanders Friends! Over the years at Zanders I have strived to create a genuinely friendly atmosphere and to serve top notch drinks. I have been very blessed to do something I love and have been rewarded with loyal employees and awesome customers who have become like friends and family. I wanted to oversee every aspect of my business so I decided to create REZ Roasters, a division of Zanders. REZ Roasters allows us to offer our very own hand roasted coffee, this has given me another opportunity to provide only the freshest quality products! In my spare time, I enjoy photography and gardening. I also have a love for tea! Thank you for your loyal support over the years, myself and my children, Shonna and Luke truly appreciate it! 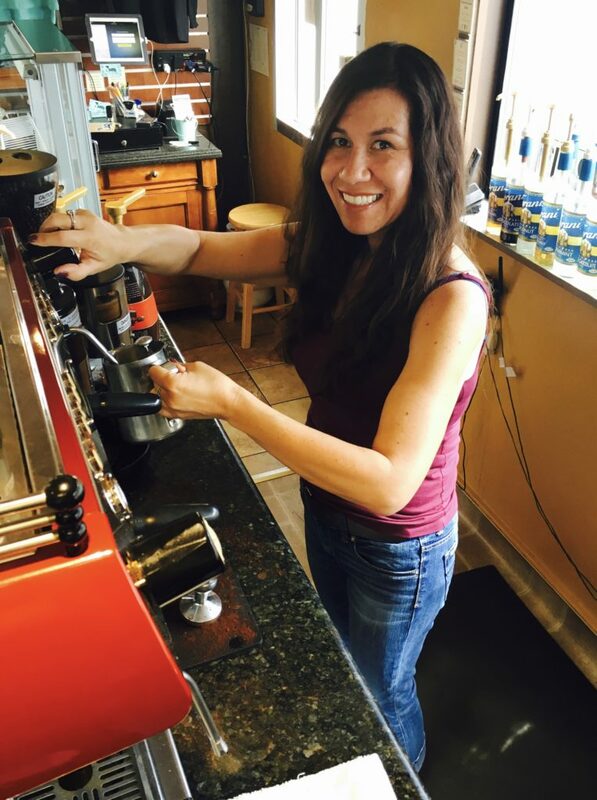 Hello, I’m Gina Tempesta, or more affectionately known as “Junior.” I have been a part of the Zanders family for over 10 years and have literally grown up in the coffee realm. Over these years I have obtained great knowledge and love for the business and I now serve as Manager of Marketing & Sales. I am a graduate of California State University, Fresno and while my education is in teaching and community benefit organizations, I keep coming back to my love of coffee and people. I am working hard to blend my knowledge and passion for the two through community service and serving our community great coffee! Hello! 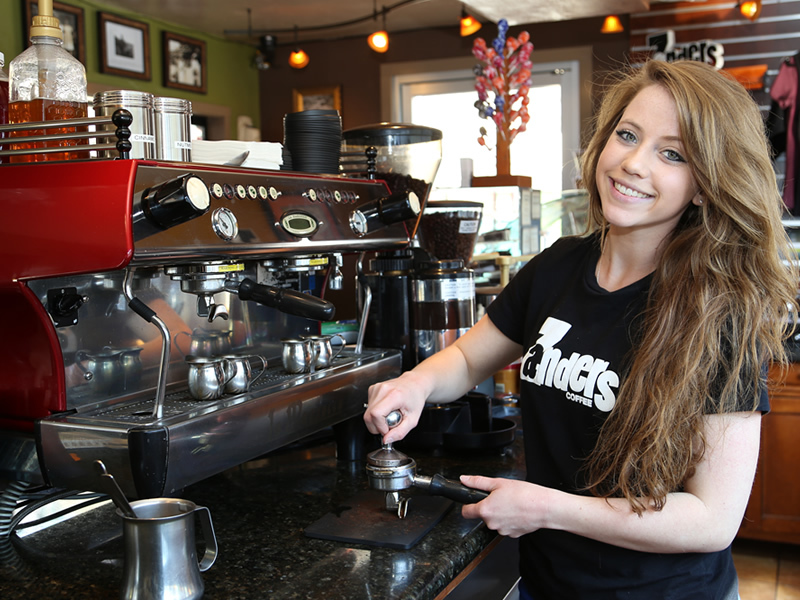 I am one of the lovely baristas here at Zanders. I am Chukchansi and Miwok; my langauge, culture and traditions are very important to me. I drink tea every morning rather than coffee. I love Star Wars! I love art! I admire Beatrix Potter’s stories and illustrations. I love anything Studio Ghibli. Zanders is a wonderful place to work. I really love getting to know customers…and their drinks! It is truly a great experience to work at a local business. Hello! 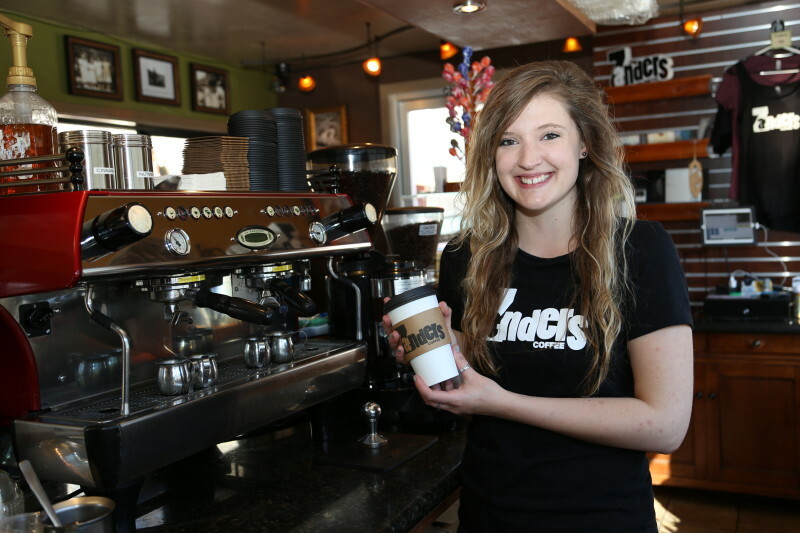 I’m Katlyn Gray and I’m currently a college student and one of your Zanders baristas. I’ve come to love all things coffee and, most importantly, the community I am privileged to serve! If I’m not at Zanders or school, you can find me enjoying the beautiful surrounding mountains either fishing or hiking. 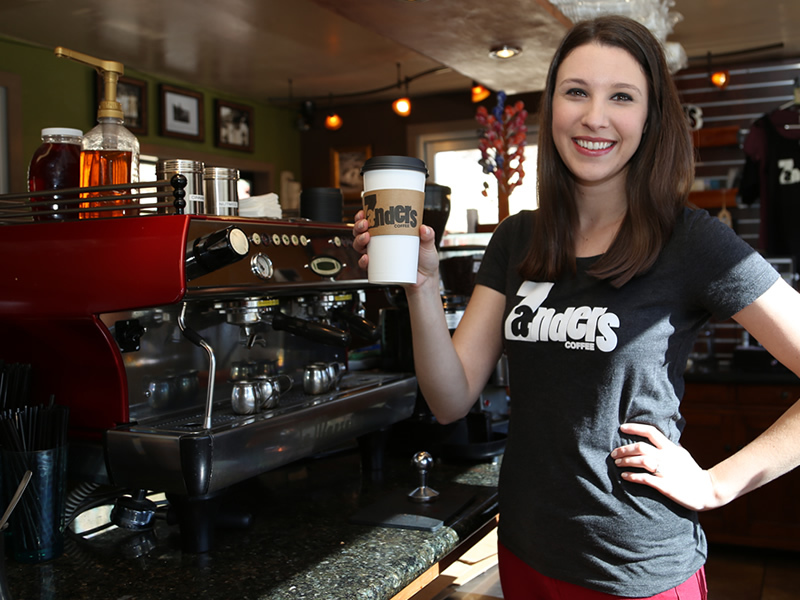 I hope Zanders Coffee makes you feel just as at home as it does for me! Hello! My name is Shelby! I go to college and like to go on hikes on my downtime. I love Zanders because of several reasons! My co-workers are great, my boss is amazing, and what’s not to love about a cozy little coffee shop in a small town? And of course, nothing beats the smell of freshly, roasted coffee beans! ©Copyright 2015 Zanders Coffee - All Rights Reserved.